I have an actual planner collection with 9 active planners that I use weekly and 11 planners that are not currently in use. Why do I need so many planners? To justify this question, I could tell you that I purchased the planners on sale, I’m saving them for a giveaway, that I got them for decorating with stickers that I am selling, or even that I’m recycling them for the future. 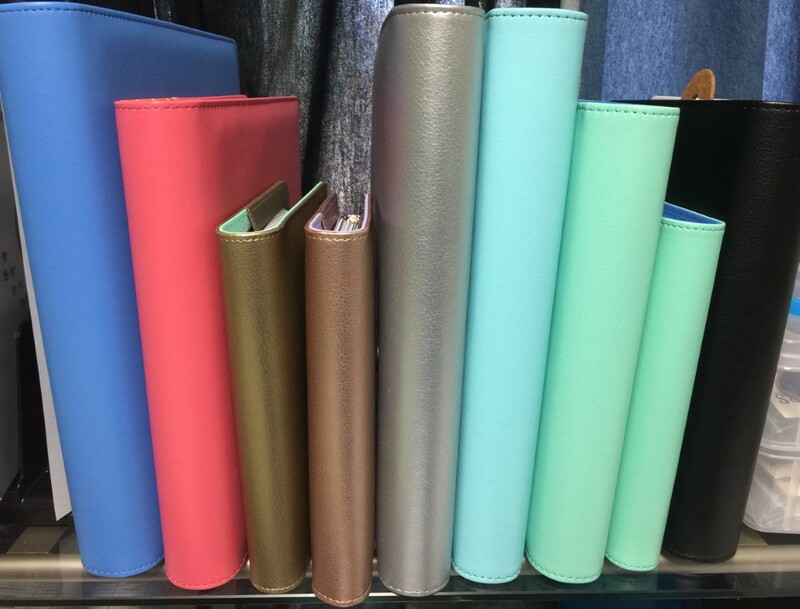 No matter what the reason having that many planners is a bit excessive but I love them all. 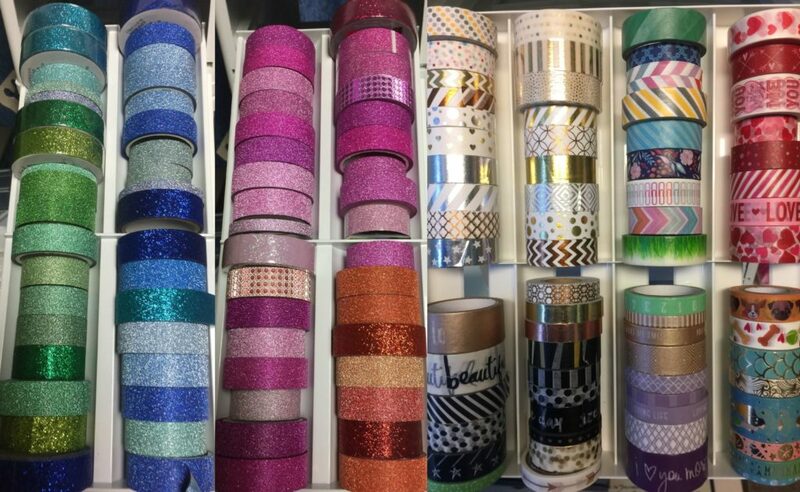 I have discovered that glitter washi tape is my favorite washi to use in my planner. When I first started planning I was like most of you and purchased every washi roll I could get my hands on especially if it was on sale. Once I started decorating I quickly learned that the pretty washi was just too pretty to use and I did not like to add it with my decorative stickers. Although if I was only going to be decorating with just washi tape, it would be okay for me to use then. I have 6 washi containers to hold my collection. I have changed my decorating style several different times since I started planning. At first, I was a Mambi Sticker Book collector to where I even created a couple of sticker books to hold all the Mambi stickers in. Once I found my decorating style that worked for me, I discovered how much money I was wasting. I never used the stickers from the Mambi sticker books. I currently use more functional and reminder icon stickers to plan as I go with my weekly sticker layouts. 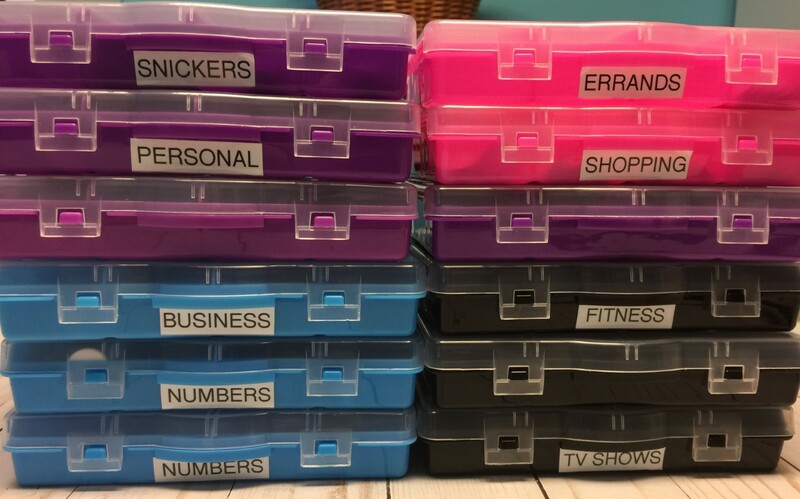 I have a lot of those stickers that I keep labeled and divided into containers. It started with one planner clip and I was hooked. I couldn’t stop my inner crafty side from coming out and creating more. They were so much fun to make and so adorable. 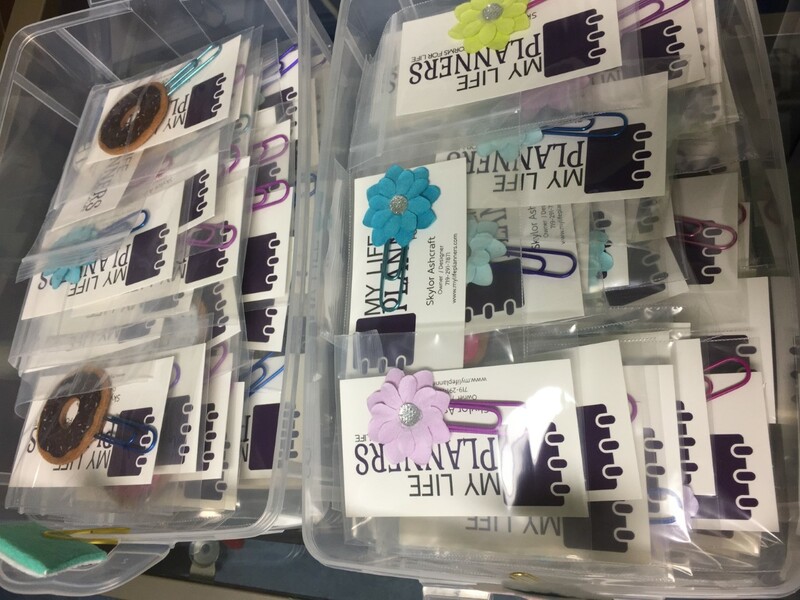 Before I knew it, I had made over a 100 planner clips and started selling some of them at the shop. The rest I save and give as special thank you’s and gifts. Last in my collections would be the all mighty power of the pen. Initially I started out with G2 pilots, which I liked because of all the different colors. I quickly moved onto the Pentel Inkjoy gel pens because I had heard rave reviews about it. It is one of my top favorite pens for the smoothness of the writing and the quick drying of the ink for no smears. 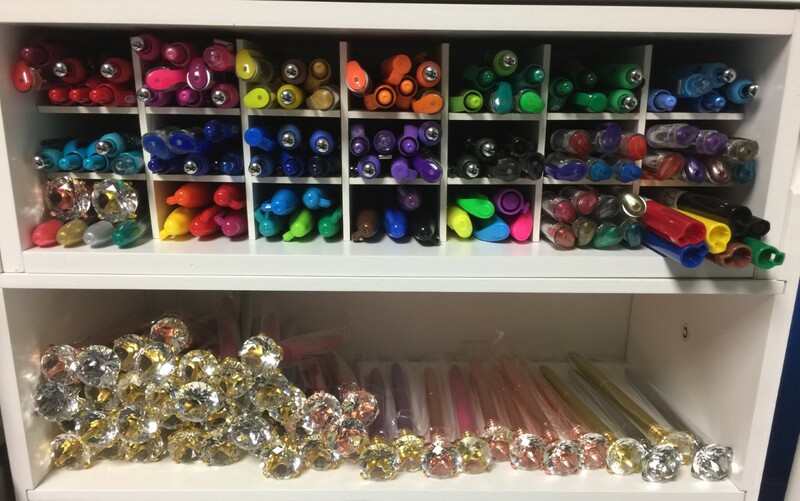 Before I knew what happened; I found myself with a huge pen collection of different colors and brands. Most of the pens I purchased through word of mouth in the planner community or through my own research in my search for the perfect pen. The more pens I tested the more I wanted , however the last pen I obtained is quickly becoming my favorite. I fell in love with this planner pen so much that I wanted to sell them. The Diamond Top Crystal Gel Pens are beautiful and functional and have been added to My Life Planners Etsy shop so that I could share how great these pens are. Thank you for allowing me to release my planner addict confession. If you could relate to any of the above, then you too are a planner addict and you are in a some great company.